New quartet and trio recordings (including Call Me Maybe)!! AVIVA Strings performing pop quartets and trios at a wedding in the Lehigh Valley! We are just GUSHING and can't contain our excitement! We FINALLY had a moment to jump in the studio and we are so excited to share some of our new pop recordings for string quartet and trio! We're posting the quartet recordings of Call Me Maybe (because c'mon...its our favorite and we know its your favorite too), A Thousand Years, and Viva La Vida here, but head to the audio section of our website for more! Let us know what you'd like to hear at YOUR wedding or event in the comments! 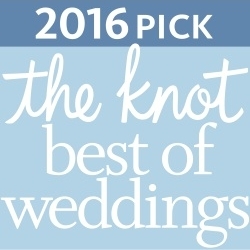 Best of the Knot & WeddingWire Couples' Choice Winners...Again! 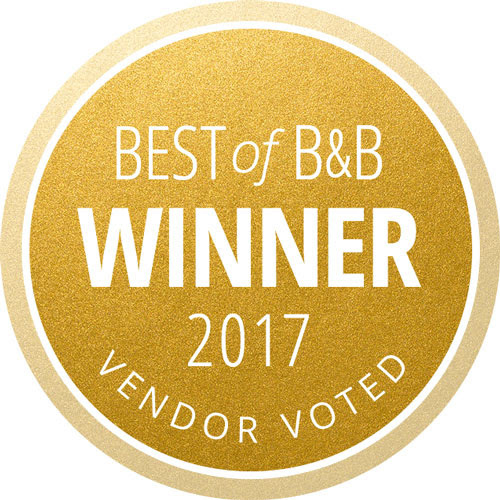 AVIVA Strings has been awarded Best of the Knot and WeddingWire Couples' Choice Winner for Philadelphia, the Lehigh Valley & the Poconos for the 2nd year in a row! Well folks - AVIVA Strings has officially been named the winner of WeddingWire Couples' Choice & Best of the Knot awards for Philadelphia, the Lehigh Valley, Lancaster, the Poconos and Wilkes-Barre Scranton for the 2nd year in a row! We are so grateful to all of our wonderful clients who put their trust and faith in us to create beautiful music for the most important moment of their lives! From string quartets and trios in Philadelphia to jazz combos in Allentown to chamber orchestras in Scranton - we have been honored to celebrate with each and every one of you! 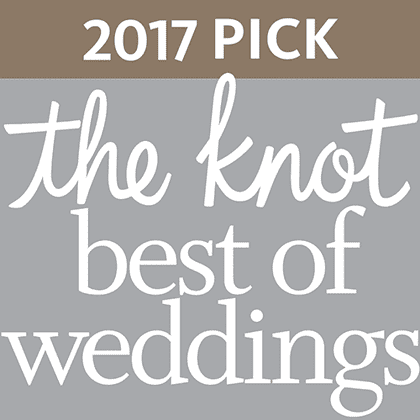 The Knot Best of Weddings is an award representing the highest-rated wedding professionals as reviewed by real couples, their families and wedding guests on The Knot, the world's leading wedding website and marketplace. In 2017, only 2% of the 300,000 local wedding professionals listed on TheKnot.com have received this distinguished accolade. The bride & groom chose AVIVA Strings' violin & guitar duo for their wedding ceremony music as well as cocktail hour music at Skytop Lodge in the Poconos. We are super excited to blog about Vania & Eric's picture perfect wedding at Skytop Lodge in the Poconos this past August! It could not have been a more perfect day in the Poconos for a wedding - the sun was shining and all of the gorgeous flowers were in full bloom at Skytop. We arrived quite early - just in time for cookies and lemonade in the lobby, in fact! - and were so happy to be able to spend some time enjoying the property and beauty all around. Both the bride and groom were equally instrumental (see what I did there?) in selecting the instrumentation for their wedding music as well as the special music requests for their ceremony and cocktail hour. We spent a lot of time discussing different options, including a string quartet, string trio, and string duo. Ultimately, the bride and groom decided that the AVIVA Strings violin & guitar duo best represented their personalities as well as the music they love. Special selections for their prelude and ceremony music included Pachelbel's Canon in D, Morricone's Gabriel's Oboe, Tchaikovsky's Sleeping Beauty Waltz, as well as selections from Mozart's Eine Kleine Nachtmusik and Vivaldi's Four Seasons, all beautifully arranged for violin and guitar. AVIVA Strings violin and guitar duo performed for this elegant wedding in the Pocono Mountains, Pennsylvania. We had a fabulous time at cocktail hour, playing everything from the Beatles to Gershwin to ABBA! The bride and groom wanted to keep the music for cocktail hour light and jazzy and fun and romantic. There was definitely spontaneous dancing happening and we even made a few new young friends who were super curious and excited about the live music (maybe future AVIVA Strings musicians?!). We loved performing for this beautiful wedding at Skytop. Vania and Eric were incredible to work with and we wish them so much love and happiness as they start this new chapter in life as husband and wife! AVIVA Strings provides elegant, live strings for weddings, events and special occasions throughout all of Northeastern Pennsylvania, Wilkes-Barre, Scranton, the Poconos, Allentown, the Lehigh Valley, Philadelphia, Binghamton, and beyond!